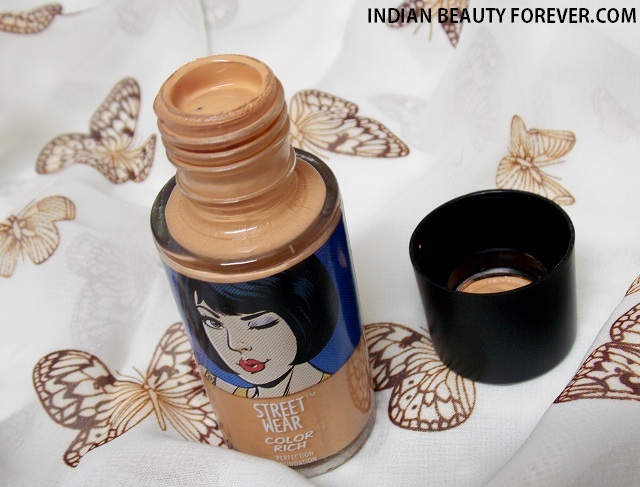 This is going to be the last post of the year and while we are all set to enter a New Year, I will review this Street Wear Color Rich foundation in the shade neutral. I got this foundation a month ago but haven’t used it much which is why; it took so long for me to review this product. By the way, I am impressed with this Street Wear Color rich range, the lipsticks were really good for that price, the nail paints were excellent for 60 bucks, I still have a shade from this range only on my nails. I am completely surprised with their staying span, I mean these nail paints are amazing. 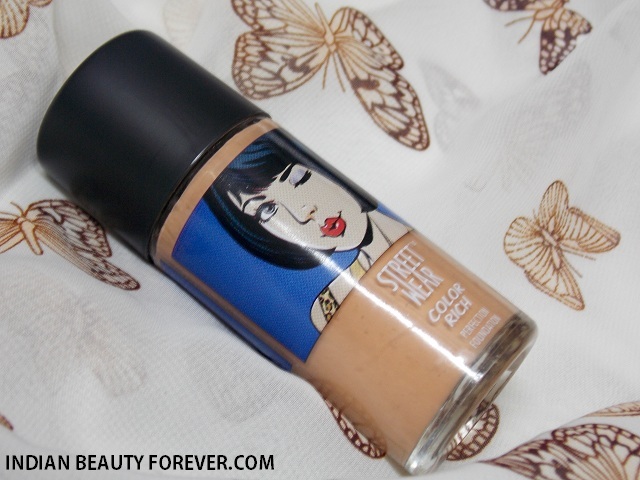 Okay, so before I move away from the review, let me focus on this Street Wear Color Rich foundation here. 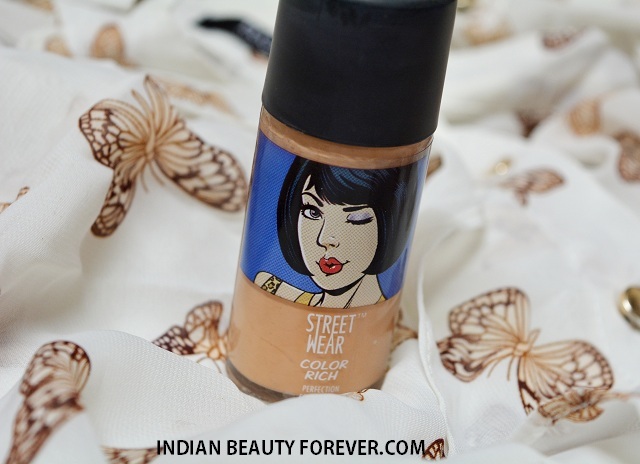 Price: The Street Wear Color Rich foundation is for 170 rupees. The Street Wear Color Rich foundation is very inexpensive and comes in a regular glass bottle packaging with a black plastic cap. 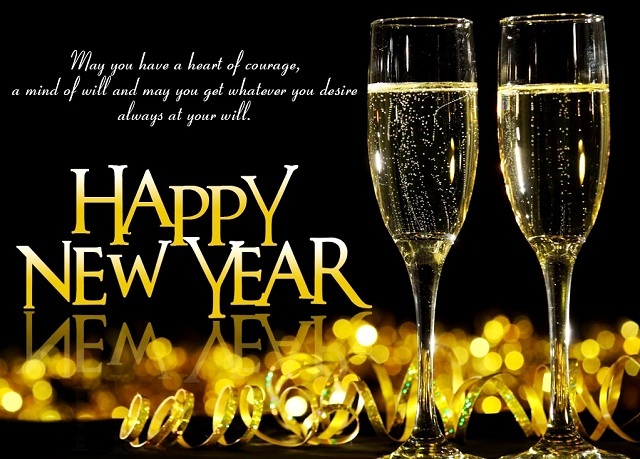 Price and expiry date is written on the bottom of the bottle. The foundation has a scent which is very similar to that of the Revlon touch and glow foundation, slightly floral-ish. It is runny though not extremely runny unlike the recent foundation that I had reviewed from L’Oreal Paris Nud* magic foundation. 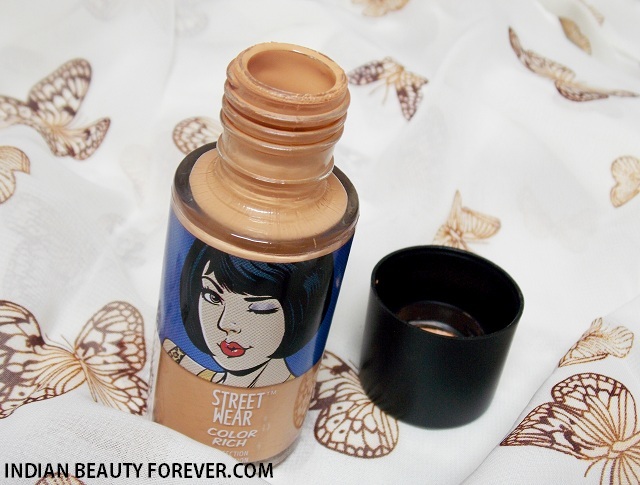 Street Wear Color Rich foundation in Neutral is a shade for wheatish skin tone but with soft pink undertones. I have noticed that Revlon foundations have this pink hue in them which I honestly don’t like. 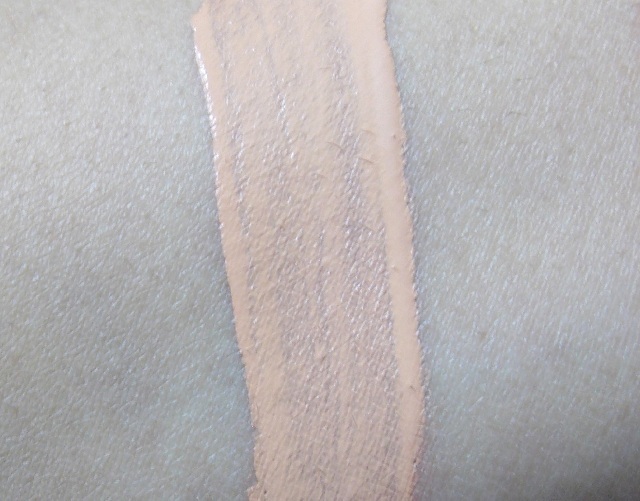 I am also testing Revlon colorstay foundation which has the same pink undertones. When it comes to foundations with yellow tones to suit India skin better, it would be from Lakme, our Desi brand, L’Oreal Paris and Maybelline. The pink hues in the foundation are supposed to balance the yellow undertones in the complexion but I like my yellow undertones and wont like anything that neutralizes it since I find that not so natural looking. The foundation gives sheer coverage and even when you try to build it looks cakey. I have only used it in its sheer form. It isn’t waterproof or sweat proof which I am not expecting even but the overall feel of the foundation is not my type. It’s not that it is cheap; I have used some other inexpensive foundations like Lakme invisible finish, Elle 18 foundation which were better than this. Take: Street Wear Color Rich foundation is an average foundation that gives sheer coverage and is available in 3 shades which will match the Indian skin tones though some of you like me may not like the pink undertones in it like me. I personally don’t like scent in the foundations which is another point, why I didn’t liked it that much. It isn’t a bad product but not what I liked.